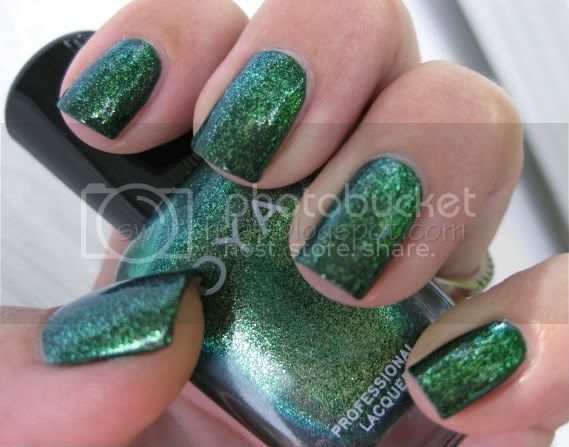 swatchcat: NOTD Prettiest Green Evarrrr!! I'm gonna really have to be careful when driving with this mani. It's just so pretty and sparkly and shiny and greeeeen!! Words utterly fail me. See for yourself. 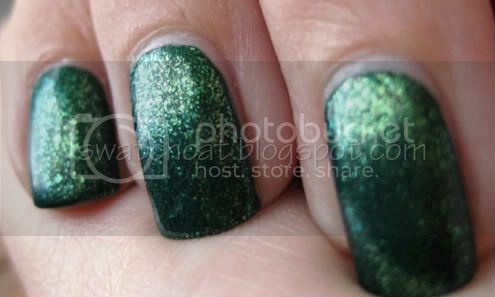 More pics of the sparkly, shiny green goodness after the jump, along with the polishes used. OPI Here Today...Aragon Tomorrow is still available at transdesign.com, but may not be for long, given the recent hullabaloo. 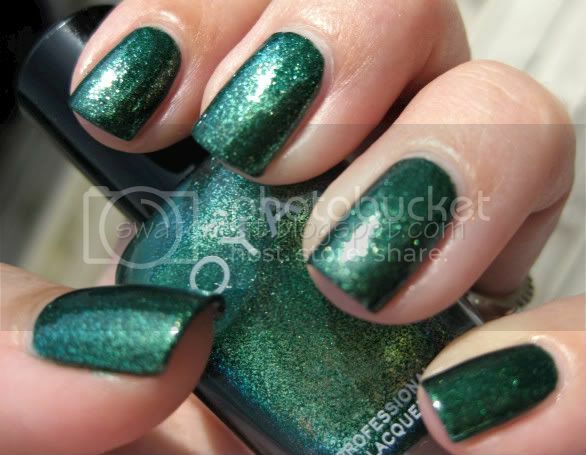 Zoya Ivanka is part of the 2010 Summer Sparkle collection and is available from Zoya. I'm definitely planning on doing some comparison swatches with those. :) I just don't wanna change my mani!! I'm really liking and impressed with that layering. who'd have thought it would give both colors so much *more* depth. Very cool!